Working alongside Manufacturing firms, Many high street brands are in steady competition to compete with new products. Ebb and Flow Creative was called upon to produce interactive product PDFs for new tenders. 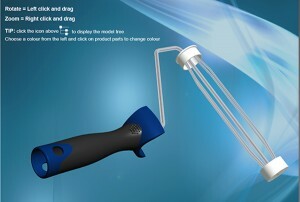 This work combined creation of 3D visuals with the actual CAD drawing, ready for manufacturers to produce the product. 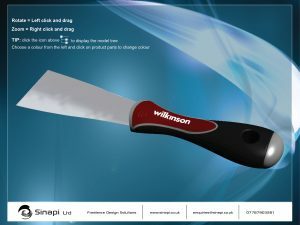 Ebb and Flow Creative have the tools and creativity to produce any product visual in 3D in various textures for the user to rotate, view the wireframe and click to change colours. This service is ideal for any company wishing to showcase their latest ideas and products.